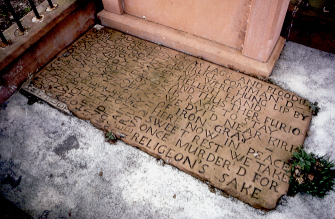 Edward Gordon and Alexander MacCubbin were captured by Robert Grierson of Lag and Captain Bruce of Earlshall and brought to this spot where they were executed on 3 March 1685. 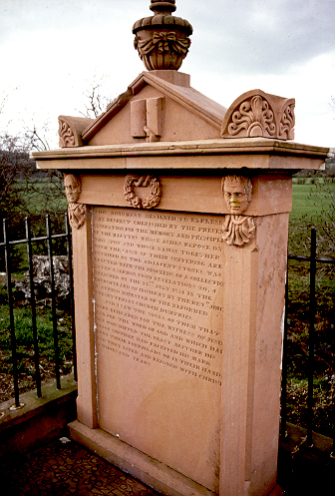 The gravestone and memorial to Gordon and MacCubbin are found in a railed enclosure on a low hill, located just off the road between Irongray Church and Hallhill farm. LAW BY LAGG AND CAP.